Freedom fighter Rev. 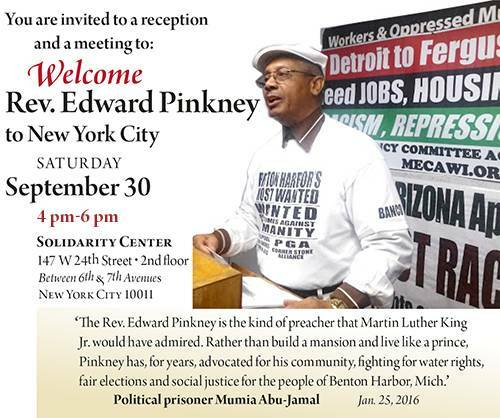 Edward Pinkney, recently released from prison after serving 30 months, will be at a reception and public meeting at the Solidarity Center on Saturday, Sept. 30, from 4 to 6 p.m. at 147 West 24th Street in New York City. Rev. 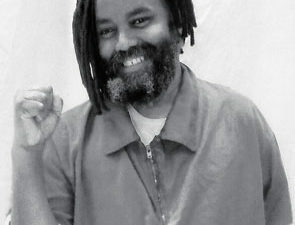 Pinkney was imprisoned on trumped-up charges of falsifying signatures on a petition to recall Mayor James Hightower of Benton Harbor, Mich., in 2007. 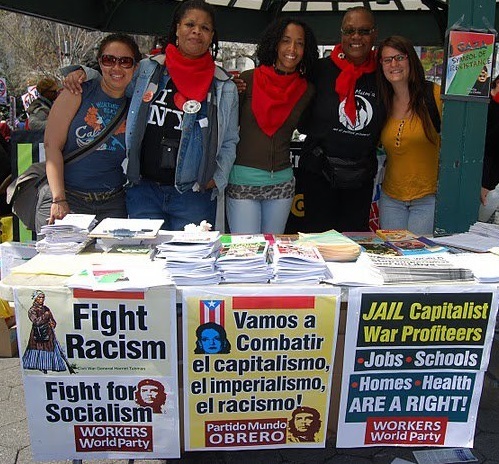 The case, which went to the Michigan Court of Appeals, concluded when the court decided no evidence was necessary to convict Pinkney, and that his past organizing work created suspicion of motive to forge dates on the petition. Many have said that this grievous miscarriage of justice was merely a front by the state to attempt to murder Pinkney, a Black community organizer in his 60s, via incarceration. Following a massive campaign in Michigan and across the U.S. to win his freedom, Rev. Pinkney was released on June 13. 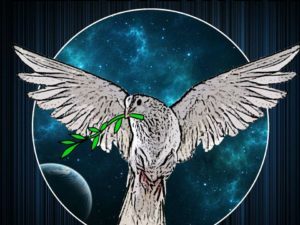 The International Action Center, New Abolitionist Movement and Free Mumia Coalition (NYC) are hosting the event for this inspiring freedom fighter’s visit to New York. Those planning to attend should send an RSVP to [email protected] by Thursday, Sept. 28.